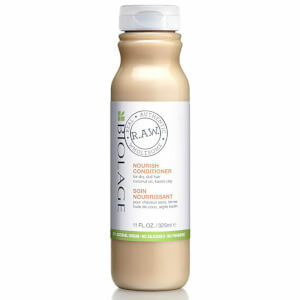 Replenish dry, dull hair with the Biolage R.A.W. 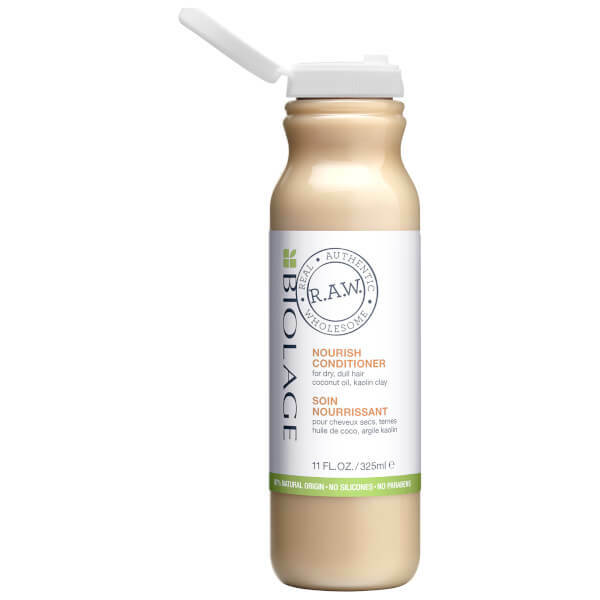 Nourish Conditioner. 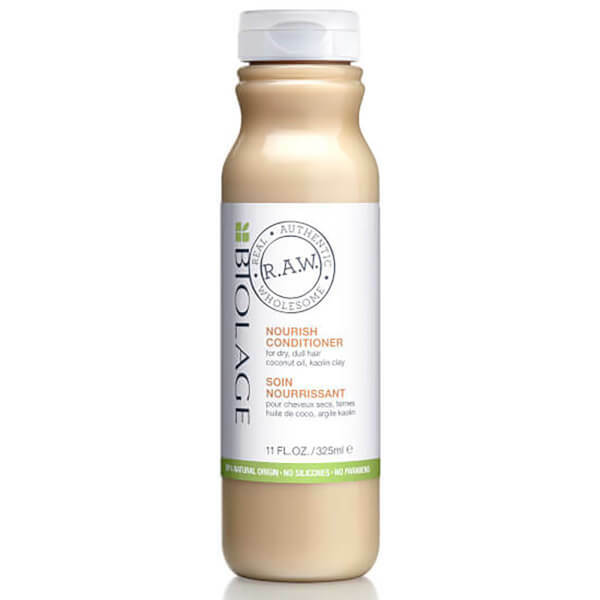 Specially developed for lifeless and lacklustre locks, the creamy formula has been made from over 97% ingredients of natural origin, delivering essential nutrients to help improve shine and strengthen individual follicles. Fortified with Coconut Oil and Kaolin Clay, it absorbs excess oils and leaves tresses feeling touchably soft with enhanced vitality. Aqua/Water/Eau, Cetearyl Alcohol, Brassicamidopropyl Dimethylamine, Cocos Nucifera Oil/Coconut Oil, Benzyl Alcohol, Parfum/Fragrance, Sclerotium Gum, Tartaric Acid, Caprylyl Glycol, Salicylic Acid, Glyceryl Stearate, Kaolin, Tocopherol, Coumarin, Linalool, Caramel, Glycine Soja Oil/Soybean Oil.